Rebecca Leclair is a communications professional with 30 years of broadcast journalism experience. Not only can she teach you how to be comfortable in front of the cameras, but how best to tailor a message and make your point. She has been recognized by the Associated Press for her in-depth reporting on education, children's safety, and medical problems. She gained respect as a court reporter while covering notorious murder trials, criminal investigations and government scandals. Rebecca's forte is telling the personal side of every story. She takes the time to connect with the people, businesses, and community groups she profiles to showcase what is truly important. 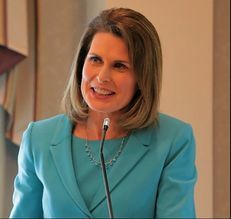 During the 23 years she served as morning and noon anchor at WHEC-TV in Rochester, NY, she was often asked to emcee fund-raising events, and helped raise millions of dollars for charities such as Muscular Dystrophy Association, Catholic Family Center, and Cancer Wellness Connections. Rebecca knows what it takes to plan and execute a successful media affair as well as how to avert communication crises. Rebecca is an inductee to the Geneseo Central School Hall of Fame, received the First Mate Award from the Pirate Toy Fund, and was recently given the Women of Distinction Award by the Girl Scouts of Western New York. She has been a “Cookie Mom” and a troop leader for years, but undoubtedly, her greatest accomplishment is being a swim/synchro/volleyball/stage mom to her four children, with the help of her husband, Paul.